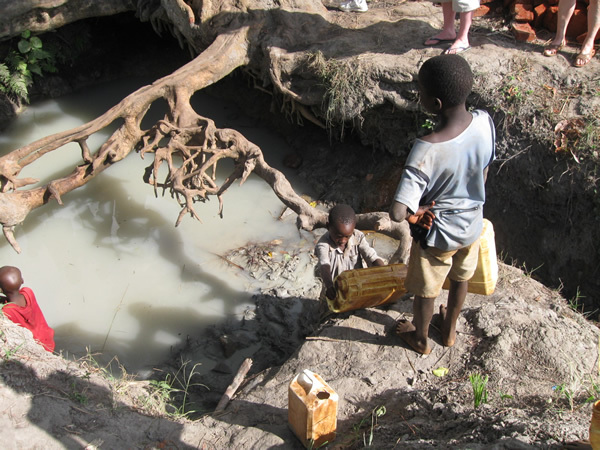 If you can raise funds for Water for Kids through a sponsored event it is easy to create a page for on-line donations at mydonate.bt.com/ and/or use our Sponsorship Form. We can also give you leaflets and other information to give out to those who want to know more. One of the best ways to learn about our work is through our talks and presentations. If you would like us visit your workplace, community or faith group, please contact us to arrange a date. Water for Kids could not keep going without the support it gets from individuals and organisations, many thanks to you all. 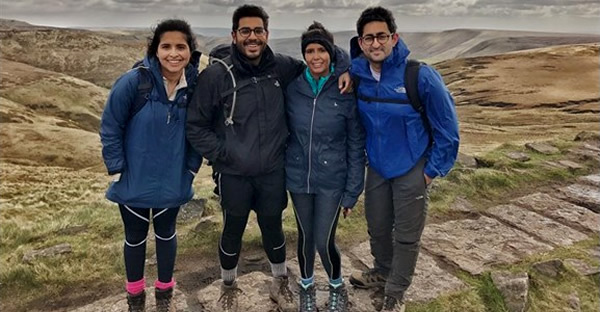 Shameet Thakkar and team from Leicester chose to raise funds for Water for Kids as part of their adventure; climbing to the summit of Mount Kilimanjaro. They raised over £10,000 which is fantastic! 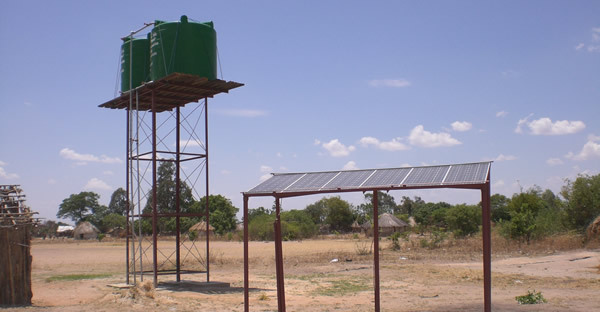 This was enough to install a borehole and provide safe water to the Bukonko community of over 870 people. 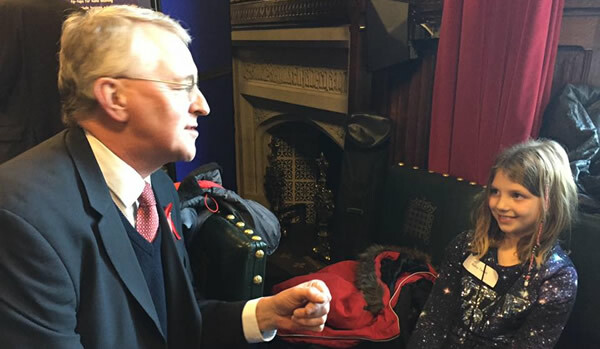 Hilary Benn meets Ruby who was doing a running challenge to raise funds for Water for Kids! 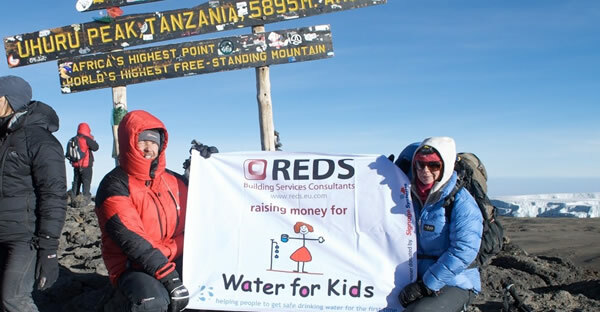 Water for Kids was first established in December 1996 and to celebrate this landmark anniversary, Matthew Pennycook MP for Greenwich and Woolwich hosted an event on the 1st December at the House of Commons. 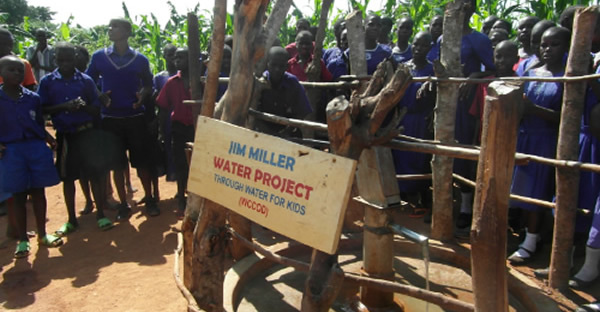 It was great to get recognition for the difference that safe drinking water has made to the communities that we've worked with over the past 20 years and how important it is to continue the work. Thank you to everyone who made the event such a great success.